I call my pricing 'investment' because I truly feel custom, professional photography is an investment. It's capturing important life milestones that will be passed on to your children and their children beautifully. These are priceless memories - when your baby is grown, you will cherish having memories of them at their littlest. In Home Newborn sessions take place in the comfort of your own home. This newborn session type is focused on emotion and connection in the family. 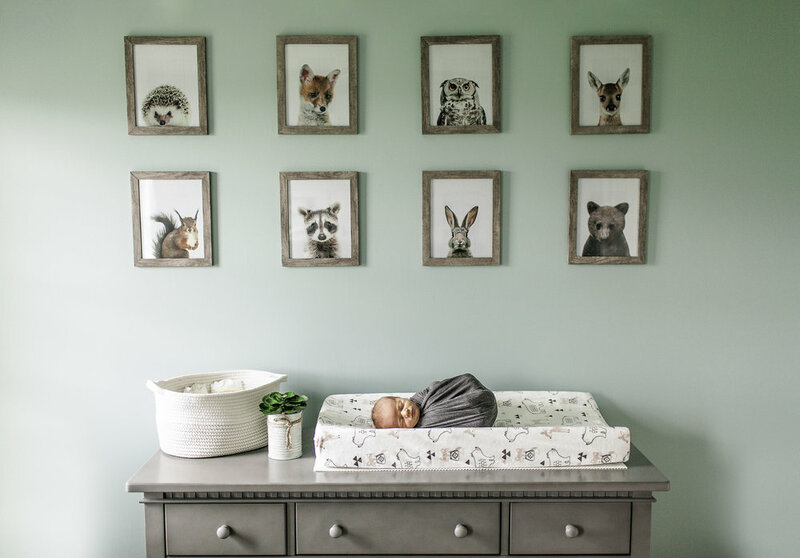 I capture baby in addition to family bonding in various settings like the Nursery, Master Bedroom, or anywhere else I feel inspired to capture the connection. I always include photos of Nursery too- little detail shots celebrating the time you spent putting baby's nursery together. I accept a limited number of newborn sessions each month and fill up quickly. Please contact me as early as possible to reserve your due date in my calendar!